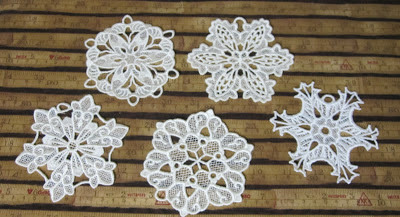 I realized after going through some pictures that I didn't share with you the lace snowflakes I made for my co-workers. 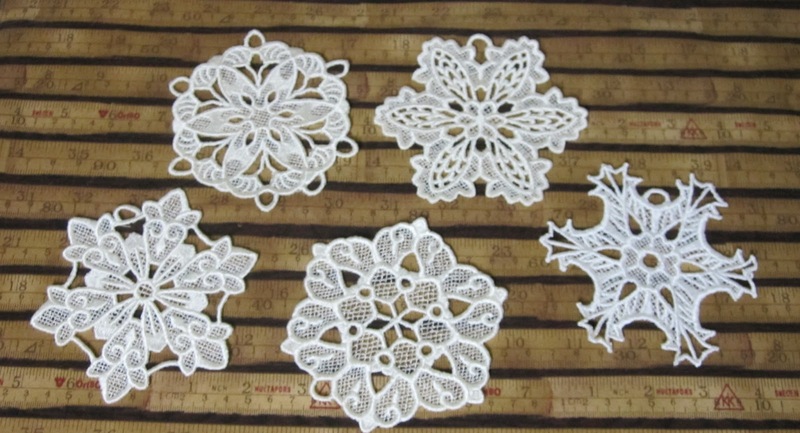 They are ornaments to hang on a tree or in a window. Any place you want!! Once again I was scrambling to get them finished so I could hand them out the week before Christmas. I didn't plan on how much white thread I would use! I went through every thing I had on hand, I even used the eggshell shade! I quickly ordered some online and was able to get them done in time. Maybe if I start now on this years present I would be ahead of the game! Knowing me I would put them someplace and not remember come Christmas time!